As your College Football Bowl pool grows, is the amount of work it takes to run it becoming too much to handle? For the 2019-2020 College Bowl Season, sit back and enjoy the games while we do the work for you! Each ranking number (41 to 1) can only be used once. For each game picked correctly, members receive the number of points they assigned that game. The winner is the member with the most points once all Bowl games have been completed. No more collecting picks from your members. Members login to the website directly to make their picks. No more incomplete or error-ridden pick sheets. No more calculating points and standings by hand. Pool standings are automatically updated. No more need to distribute standings. Members simply login to the site to see updates. 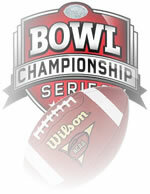 Add your company or organization logo to customize the look of your College Bowl Pool. For more information, see our Brand Your Pool page. Every College Bowl Pool hosted at RunYourPool.com includes a free, private message board. Your pool's message board, accessible only to your pool members, is a great way to communicate with members. Prices shown are your one time fee for the entire College Bowl season. Additionally, you can test drive the site for the first two Bowl games absolutely free. Included in the cost is the added benefit that we retain your pool information and members from year-to-year. Simply reset your pool next year and have your members log back in to pick again. Start your College Football Bowl Pool with us today! If you have any additional questions, please contact us via email at sales@runyourpool.com. We're happy to answer any questions you may have.